I felt a slight touch of fall in the breeze yesterday. It might have been just a touch but it was enough to seriously put me in the spirit of the season around here. Fall decorations seem to be getting so much more classy and I have a crush on all things that included velvet pumpkins…just sayin’! Oh, and don’t forget the beautiful white pumpkins. I love them! 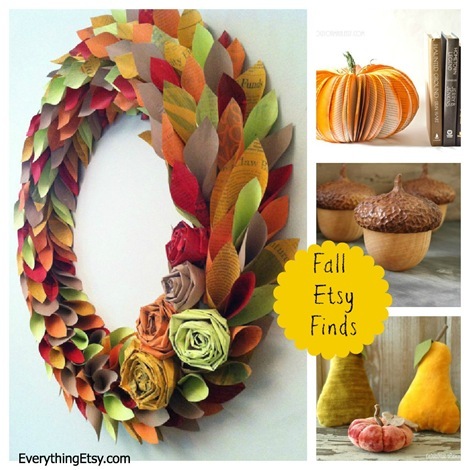 Here are some of the fantastic fall Etsy finds you can purchase today…grab them fast! 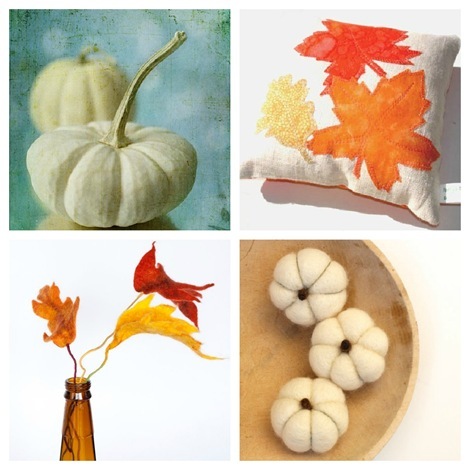 It’s a beautiful time of year and these handmade creations can add the perfect touch of fall to your home. 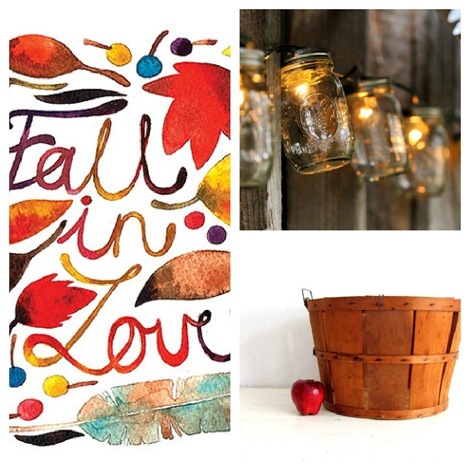 Have you bought or made any fall decorations yet? I love that fall paper wreath! What a fun upcycling project! I think I need one for my front door! Also, thanks for sharing 101 DIY projects! I’ve been a DIY junkie lately! Ohmygoodness…I have no fall decorations to speak of, and these are super-cute! I have 2 job interviews this week and guess where I will be spending some of the first paycheck if I get hired? Thanks! I love the mason jar lights! Wow, everything is gorgeous! So glad to have found this site. It seems like I come across blogs every week that support the Etsians out there and its a huge blessing to see! People with talent like the ones you featured above do deserve some spot light from time to time! Glad to have found y’all, will be back! I adore the paper wreath. It is way too cute! fun fall finds! love that fall watercolor especially! Just discovered the paper wreaths on Etsy yesterday. Love them!!! Great blog!